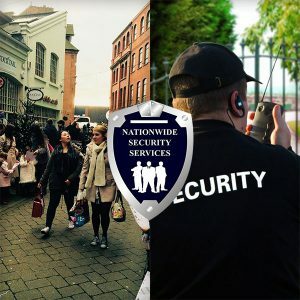 At Nationwide Security we offer a wide range of retail security services and understand that not only the safety of staff, customers and the security of property is paramount, but there also has to be a relaxed and welcoming atmosphere in order to encourage people to keep visiting. Staff Security Training- which is where one of our trained retail managers will come out and train your staff 1-12 times a year. Crime Incident police liaising-This helps if your shop/site has had a crime committed or an incident occurs at a busy time. One of our store detectives will come out and check your CCTV footage and if needs be, copy footage to a disc and crime it with the police. All of our retail guards/ officers are highly trained and experienced in the field. It is exactly what you need to help your business reach its full potential. Get your FREE survey and risk assessment with one of our expert consultants and we will provide you with a quote ring 0800 234 3241 and ask for nick Williams our in house crime prevention and operations manager. Our site retention records alone can be shown to any prospective clients proving that we are the best available security company for your static security needs.